Sykia (or Sikia) a historical village in Sithonia, Halkidiki-Greece, located 155 km away from Thessaloniki, is a very quiet part of Sithonia with plenty of large beautiful sandy beaches in the area to enjoy. Portokali Beach or Orange Beach, as it is also called, located on the west coast of Sithonia is one of the best beaches in the whole Halkidiki, Greece. Its original name in Greek is Kavourotripes (meaning crab holes). The beach is not that big, however the water is absolutely superb ranging in different clear blue and tourquoise tones. The crowded Kallithea is the prefered place of young people that love clubbing till early in the morning. 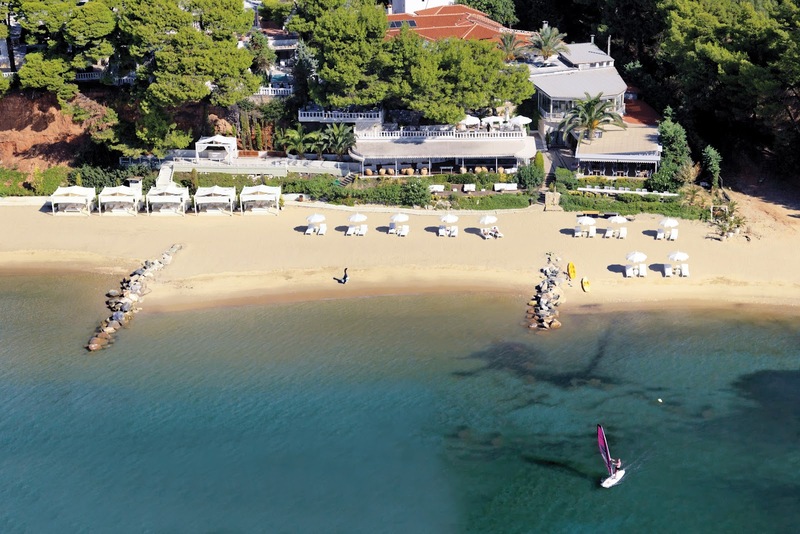 The best clubs of Halkidiki are found there. Kassandra is the cosmopolitan side of Halkidiki. 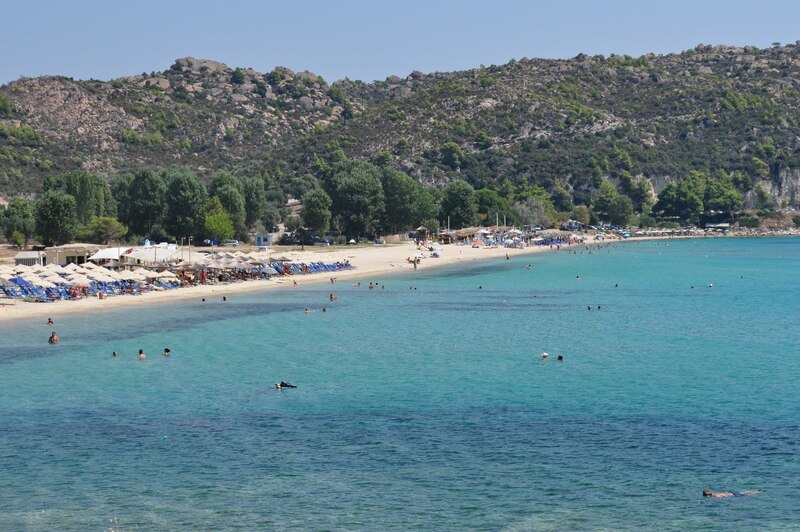 The west peninsula on the “trident” of Chalkidiki is one of the most famous places for holidays with great tourist activity, impressive sightseeing, stimulating night-life, huge nightclubs, bars, astonishing beach bars, coffee-houses, restaurants and taverns all around. In addition, in its unending beaches, most of which are lined with evergreen fragrant trees that offer their shade, you can spend your hours swimming in their azure waters, sunbathing and participating in water sports. Kassandra’s coastal zone starts at Nea Kallikratia, only 50 kilometres away from Thessaloniki. 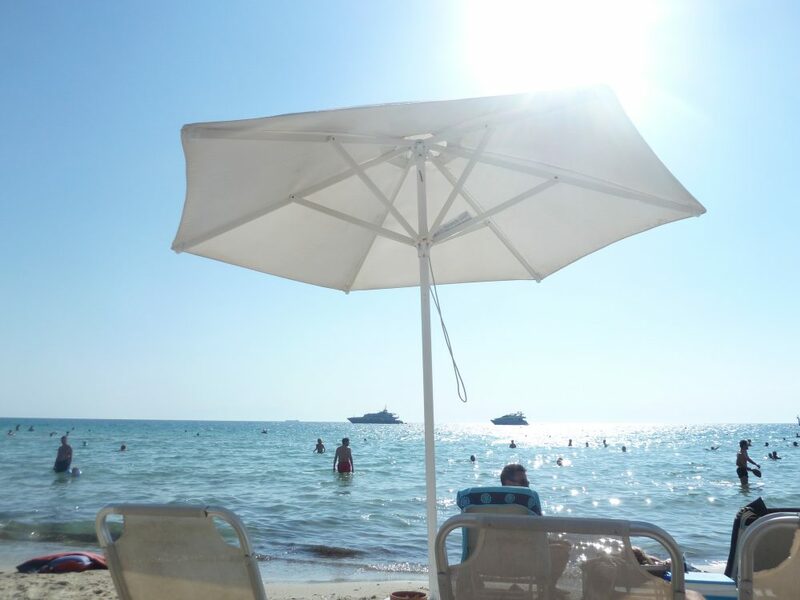 Some of the best locations to visit are the long, sandy beach of Sani beach, the stunning Aghios Mamas, the exquisite beach in Afytos, Paliouri, Chanioti, Pefkochori, with bright blue waters and pine trees, Kallithea for fantastic nightlife and many more. 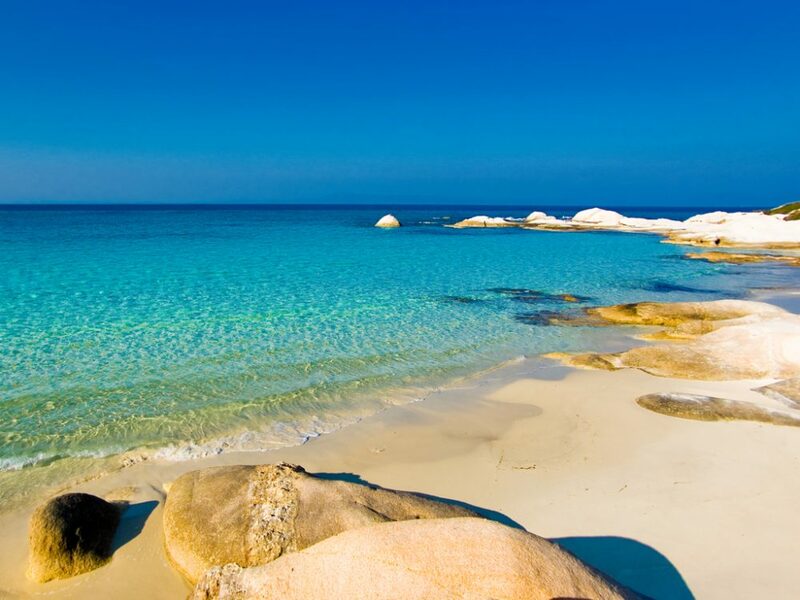 Agios Ioannis beach is located in Sithonia, the second peninsula of Halkidiki. This is really a perfect place and one of my favorite beaches. There are 3 very nice beach bars, Aqua Heaven, Kohili and Paraga. The water is crystal clear turquoise and warm, it’s like being in a large swimming pool. 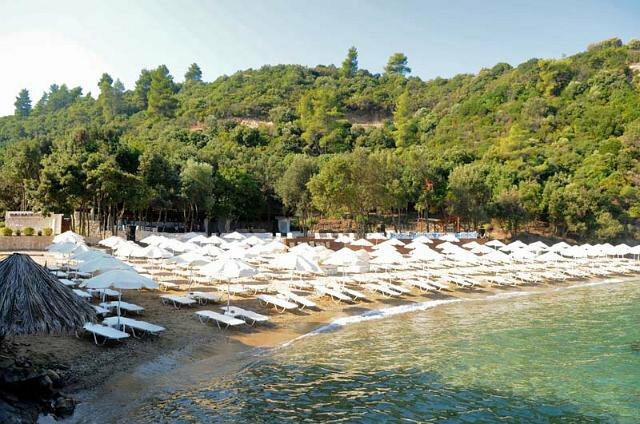 Danai Hotel, a superlux holiday resort located in the magnificent area of Nikiti in Sithonia, the middle peninsula of Halkidiki is one of the best hotels of Halkidiki. As the rooms are extremely expensive (some reaches 12.000 euros) I was so curious to visit it but stayed there only for a drink at the sea side bar. The view was amazing and I really enjoyed my short stay there. 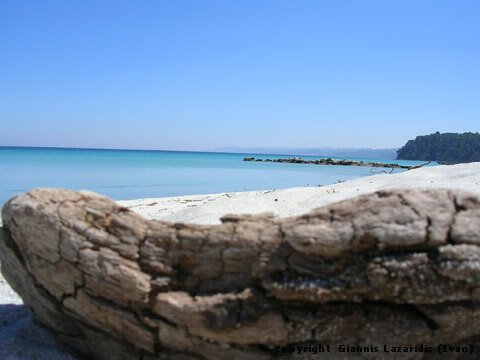 The beach white sandy, the water clean turquoise …simply breathtaking!